The destruction of the biological integrity of millions of young Americans by M.D./Ph.D. 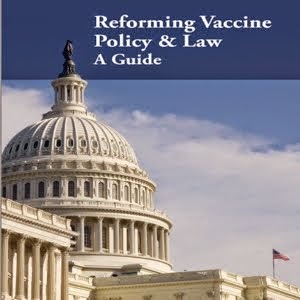 vaccinologists in government and industry is reaping tragic consequences today. More than 25 percent of America's child population is chronically ill or disabled, and many children are taking daily prescription drugs. 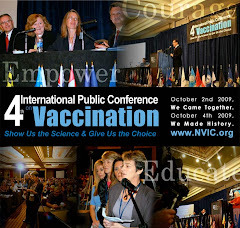 Unable to naturally experience and recover from childhood infections like generations in the past, while their immune systems are atypically manipulated with 48 doses of 12 vaccines by age six, many American children are being set up for chronic inflammation that does not resolve and leads to chronic illness and disability. Drug companies making vaccines and medical doctors pushing vaccines profit twice from the damage done: the vaccine injured young grow up addicted to immune modulating and behavior modifying drugs and dependent upon the medical doctors prescribing them. But who is going to pay for the damage done? Too many of our vaccine injured young will be too sick to contribute to and lead our nation when they become adults. Will the M.D./Ph.D. "experts" pushing vaccines use their 401K's to finance care for the adults of tomorrow they are responsible for damaging as children today? The human and financial price of helping a child recover from an acute case of pertussis, measles, mumps, chicken pox, or rotavirus pales in comparison with the human and financial price of caring for a child who develops and suffers from asthma, diabetes, learning disabilities, ADHD, autism, medication resistent seizures, juvenile rheumatoid arthritis, Crohn's disease or other autoimmune and brain dysfunction for the rest of his or her life. It's not just children that are suffering. I never had chicken pox as a child (a blood test confirmed). As a result, and now having children of my own, it was suggested that I take the chicken pox vaccine. A side effect, that I was never warned about, is the risk of developing shingles (which kills 3x as many as chicken pox). Now, I have shingles, which is very painful during an attack. Never trust anyone that stands to make money when giving advice.